As an experienced Realtor, Jack brings special expertise to his clients with a Bachelor of Science Degree in Journalism & Retail Advertising, as well as a Master of Arts in Marketing from the University of Kansas. If you are eager to start looking for lake property, or if you are ready to consider selling lake property, Jack would love to work with you in accomplishing your dreams. Our RE/MAX Lakeside office is a member of the Southwest Missouri Board of Realtors, as well as the Northwest Arkansas Board of Realtors. Jack currently holds Real Estate Licenses in both the State of Missouri and the State of Arkansas. Jack has received GRI - Graduate, REALTOR Institute - a recognition from the National Association of Realtors and Missouri Association of Realtors. ''Jack, Close friends from our church were very satisfied with your exceptional assistance in the sale of their home. When we were discussing with them our desire to obtain a Comparative Market Analysis on our Shell Knob property, they didn't hesitate to recommend you...and they did us a great favor! You were on time for the appointment at our home, you had done your homework before you arrived, and it was a pleasure to get aquainted with a truly professional realtor. Even though you would be receiving any compensation for this service, the CMA you provided was just what we needed...detailed, clear, complete, and delivered on time. Well Done! When we decide to list our home at some point in the future, you can be assured we will contact you. Jack is one of the best! He went above and beyond to sell out lake house. Listed in May and sold in August, super-fast sell! Thanks so much Jack for all you did to get the job done! "Jack is knowledgeable and easy to work with. Jack’s web expertise and knowledge of the local market allowed us to quickly sell our lake home to a couple, from far outside the area. Jack is one of the best realtors that I have ever worked with. He kept me informed, concerning the options, concerning the inquiries about the property and was very open to discuss the options, concerning the marketing of our lake house. The main things I can say about Jack Hurley are: he is a pro, is very honest and that he has a laid back, yet very competent way of dealing with people." "Jack: I wanted to take a moment and thank you for your great job in selling our property. You paid close attention to detail and used all the avenues to advertise our property. When one direction was not working, you went another. You never gave up and kept us informed all through the process from the start to closing. You also got us our asking price. You are highly recommended to anyone selling a property. Thanks again for all you do." "We appreciated Jack's insight and thorough understanding for helping us establishing the fair market value for our property. The additional insight especially when integrating dock slip's is key to establishing the value of property. Would definitely refer Jack when either buying or selling a Lake property in the area." "Jack was my real estate agent on selling both my home, and my rental property. The reason I continue to use Jack Hurley is he knows how to get the deal done. I've been involved in many real estate transactions in my life, and Jack has been the only Real Estate Agent who I felt actually cared about my family along with my finances. Jack is very knowledgeable about current market prices, and helped me understand the value of my property. He is a caring, honest person, and I feel another realtor could not have provided me with anything close to the positive experience that I have had with Jack Hurley. I will continue using Hurley lake homes and I encourage anyone looking to buy or sell a home to do the same." "We were very lucky to find Jack Hurley while looking for homes in the Table Rock Lake area. He is a very professional Realtor that looks after his client's best interest, never pushing and only finding homes within our price range and location that we were interested in. Jack's knowledge of the Table Rock housing market is the best of the best. I would highly recommend Jack Hurley to anyone wanting to sell or buy a home in the Table Rock Lake area. He IS the Realtor with the ability that will Sell your home, or find you the perfect home you will be proud to own." "Tempa and I would like to say thank you Jack for selling our lake home in Golden, Missouri. For anyone looking for an honest, knowledgeable, and hardworking realty agent Jack Hurley is your man. Jack's knowledge of property values on and around Table Rock Lake helped establish a fair market price for our home, one that our buyers accepted. Once again, thank you Jack for bringing us a buyer for our Lake Home!" "My husband and I worked with Jack Hurley to find a second home at Table Rock Lake. While we had not planned to buy right away, Jack found us a house that fit our needs so perfectly, we closed on the deal the next month !!! Not only is Jack friendly and knowledgeable about the area, he is prompt about returning calls and answering questions throughout the buying process. Jack is a pleasure to work with, and we now consider him a good friend, as well as a Great Realtor !!!" "THANKS Jack !!! We very much enjoyed working with you finding our new lake house. We appreciate your hard work and follow-up with us on all matters. We couldn't be happier with our choice. Thanks again for finding us our home." "Jack helped my husband and I find a lake home on Table Rock Lake. We found him to be personable and very accommodating. He was a great asset because on his first hand knowledge of the homes around the lake. He focused on what was important to our family's needs and desires. I would highly recommend his services." "We would highly recommend Jack Hurley as a Real Estate Agent. We were approaching retirement and wanted to purchase a lake home as a second residence. We had not purchased a home for 35 years and weren't knowledgeable of the process. It was a process that took over a year trying to find our perfect home. Jack was always patient with us and never doubted that some day we would find it. He would take us on a weekend and we would look at numerous listings. He was always willing to show us anything we might be interested in, whether it was his listing or not. 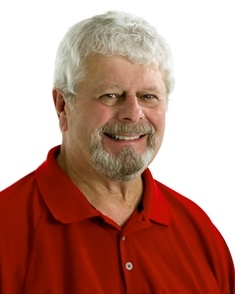 Since Jack has lived at the lake for many years, he has great knowledge of the area - on and off the water, which is a huge asset when trying to place clients in homes he thinks they would enjoy. We are extremely happy with our lake property and want to give a special thanks to Jack for all he did for us." "Thank you so much for the excellent job of selling our property. I am saving your information for anything else our family may need." "Working with Jack on the purchase of our waterfront home was a distinct pleasure. His professionalism and depth of knowledge about real estate gave us the data necessary to make a decision and the confidence that we had made the right decision. He went the extra mile to help with property inspections, well testing, and closing, making it much easier for us as out of state buyers to efficiently make it to the closing table. Thank you, Jack... YOU are the BEST!"